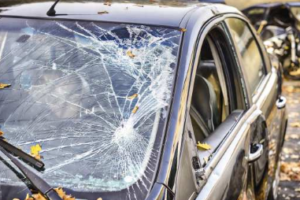 Cal State Auto & Truck Glass is the company to call to repair or replace chipped and cracked windshields. We repair and replace auto glass for any make and model of vehicle. We are a locally-owned company that has been providing Paso Robles with windshield repair and replacement services for over 30 years. Serving the entire Central Coast, all of our auto glass technicians are certified by DOW, Car, and AGRSS. We provide same-day mobile service and are insured. Our work comes with a lifetime guarantee. We get the job done fast and leave your vehicle spotless as if nothing had ever happened. Paso Robles is located in the heart of California’s Central Coast wine country. The city has a reported population of 21,907 for 2016. Paso Robles is one of two incorporated cities in San Luis Obispo County’s North County and is the home of the California Mid-State Fair held every July. Located halfway between Los Angeles and San Francisco, the Paso Robles area is a favorite vacation and weekend get-away location. World famous for the wine and fine dining, Paso Robles offers a variety of festivals, community events and outdoor activities all year long. The travel website, Expedia, rated Paso Robles as one of the top-rated vacation spots in both 2017 and 2018. The climate supports a vibrant outdoor lifestyle that fills the lakeside beaches, campgrounds, hiking trails and outdoor concerts. Summers have daytime high temperatures in the high 80s upwards to 100, but with cool evenings outdoor concerts and other activities are packed. Winters see an average 19 inches of rain and daytime temperatures in the 60s and 70s. The GPS coordinates for Paso Robles are 35°37′36″N 120°41′24″W.